Thank you AT&T for your support! 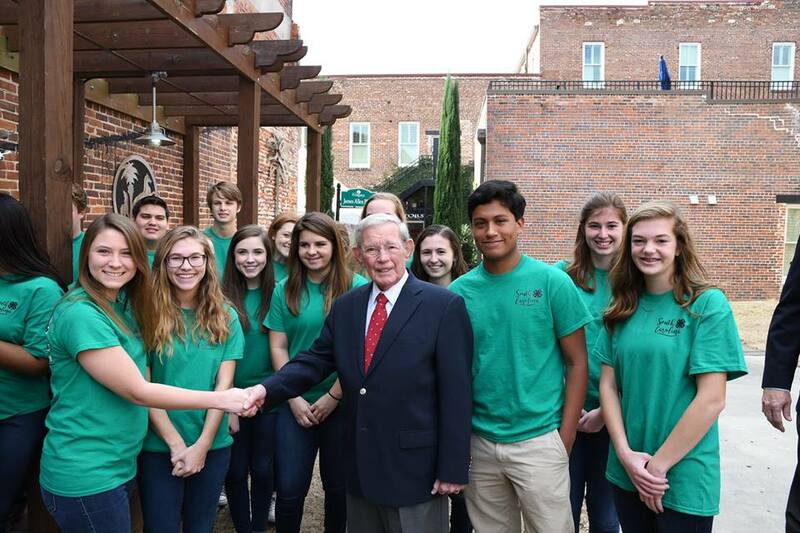 Junior Leadership Florence County is modeled after the Florence Chamber’s Leadership Florence program, and is designed for public and private high school sophomores and juniors. It enables students to be able to develop leadership skills while also increasing their awareness of the community. Junior Leadership Florence County consists of an opening retreat, followed by eight monthly sessions, and seeks to provide an investment in the community’s future leadership by fostering interest in the county and inspiring students to become the leaders of tomorrow. 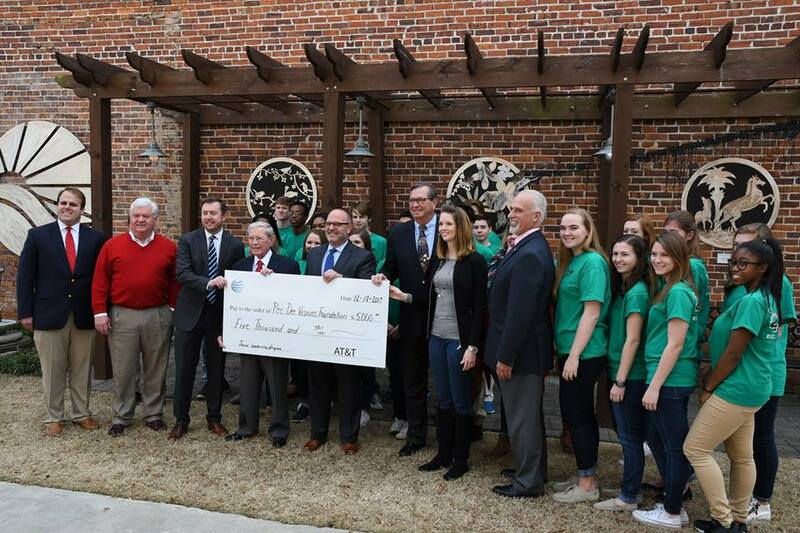 The program is made possible through a joint partnership with Florence County 4-H, The greater Florence Chamber and Francis Marion University with grants and funding from various community organizations. 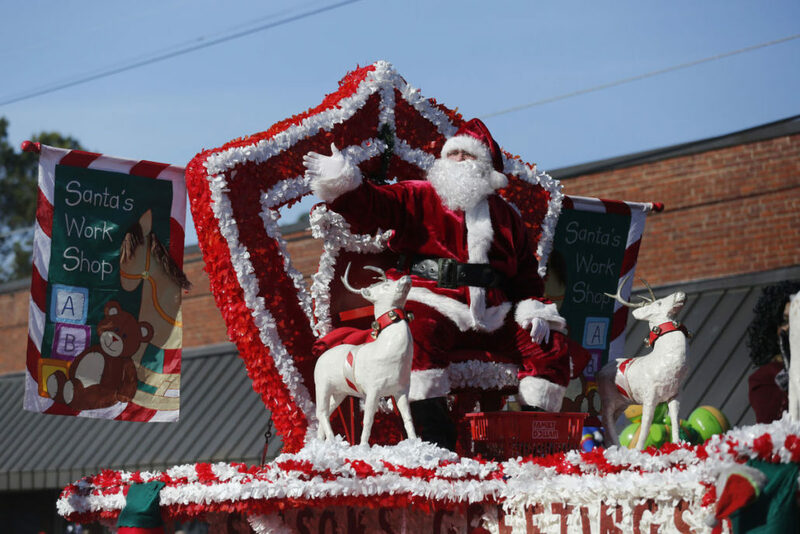 FLORENCE, S.C. – Hundreds of people lined Evans Street from Edisto Drive into downtown Florence for the annual Christmas parade on Saturday. One of those entries was The Little Gym of Florence. 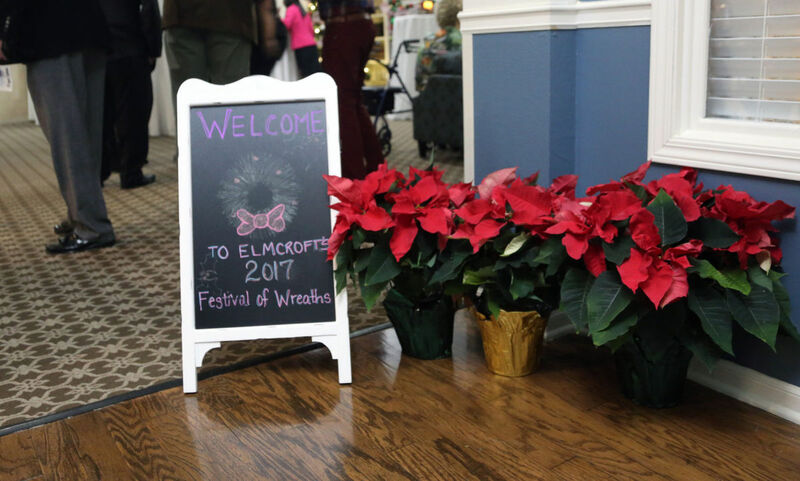 Soha Patel said the gym is geared toward teaching gymnastics to children 4 months to 12 years old, and it entered the parade as a way to reach out to the community. The group from The Little Gym consisted of around 20 students and parents. Another group hoping to get its name out to the community in Florence was the city of Florence Junior Allstars, part of the Florence Junior Football League. The team was coming off a state championship win last weekend in Beaufort. The team, made up of 7- and 8-year-olds, filled up two truck beds and a limousine for the parade. 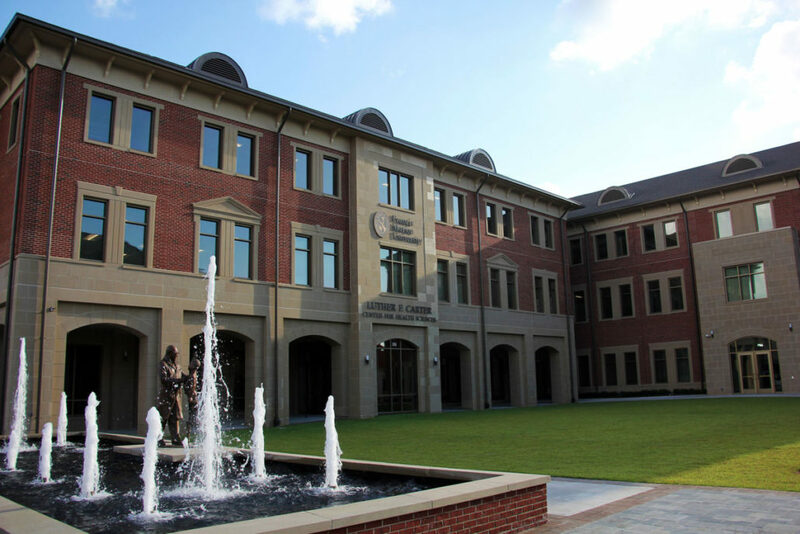 FLORENCE, S.C. – Francis Marion University’s first class of doctoral students is nearly complete and will begin their studies in January when FMU’s spring semester begins. Dr. Ruth Wittmann-Price, dean of the university’s School of Health Science, said in a news release the initial class in the new Doctor of Nursing Practice program will include 15 students, slightly more than originally forecast. She said the new degree meets a significant need in this region and beyond, and follows a national trend in advanced practice nursing education. The program recently received its final regulatory approval from the Southern Association of Colleges and Schools Commission on Colleges. The launch of the Doctor of Nursing Practice program is a landmark in the 47-year history of Francis Marion and an addition to the University’s fast-growing offerings in health care education. This doctoral degree will allow graduates to attain the highest possible standing within the field of nursing practice. The program requires 27 credit hours of classroom work for candidates who enter the program with a Masters-level degree already in hand. Francis Marion has operated its own undergraduate nursing program for more than a decade. It added the Masters level degree for Nurse Educators and Family Nurse Practitioner in 2012, and graduated its first FNP class in 2014. More information on the Doctor of Nursing Practice program is available at www.fmarion.edu/healthsciences. 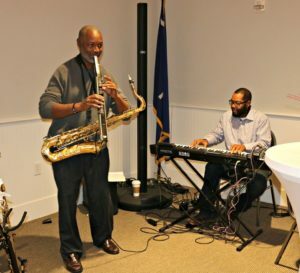 FLORENCE, S.C. — Elmcroft Senior Living Center celebrated the arrival of the Christmas season, hosting the Greater Florence Chamber of Commerce’s Business After Hours event on Thursday evening, which featured the musical stylings of SidesWiped. FLORENCE, S.C. – South Carolina native Bailey Dabney is the new regional publisher of the Morning News and its affiliated publications. Dabney, 52, has served for the past 1½ years in Warrenton, Virginia, as the publisher of the Fauquier Times and two affiliated newspapers. The Fort Mill native was introduced Thursday to the Morning News staff. Dabney replaces Joe Craig, who has served two-plus years as regional publisher of the Morning News. “I’m a product of South Carolina. This is to a degree a homecoming for me,” said Dabney, who has some family in the Pee Dee area. An uncle once served as the superintendent of Florence schools. “I’ve been in, around and through Florence at least once a year for almost all of my life,” Dabney said. “We would go through there on our way to or from Myrtle Beach or on our way to Florida on I-95. I’ve always loved Florence. After spending two years at the U.S. Naval Academy in Annapolis, Maryland, Dabney graduated from Erskine College in Due West, where he attended on a tennis scholarship. 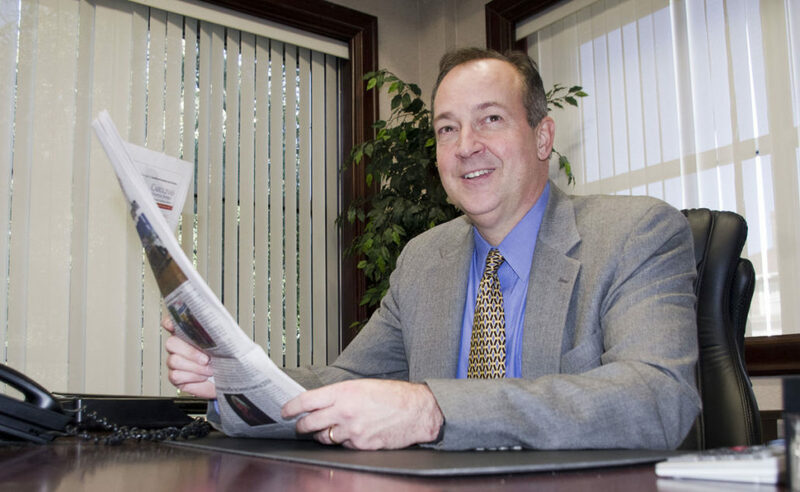 He returns to his home state with nearly 30 years of experience as a newspaper executive. He started in 1988 as a district manager at the News and Courier in Charleston, where he met his future wife, Kim. Dabney has worked for big newspapers, such as the Miami Herald and the St. Louis Post-Dispatch, and smaller ones, such as the Claremore (Oklahoma) Daily Progress. That was his first experience as a publisher. During his seven years there, the Daily Progress was nominated for a Pulitzer Prize in two categories in 2013. He also spent four years as vice president of a technology company in Charlotte, North Carolina. Dabney has a long history of community involvement. 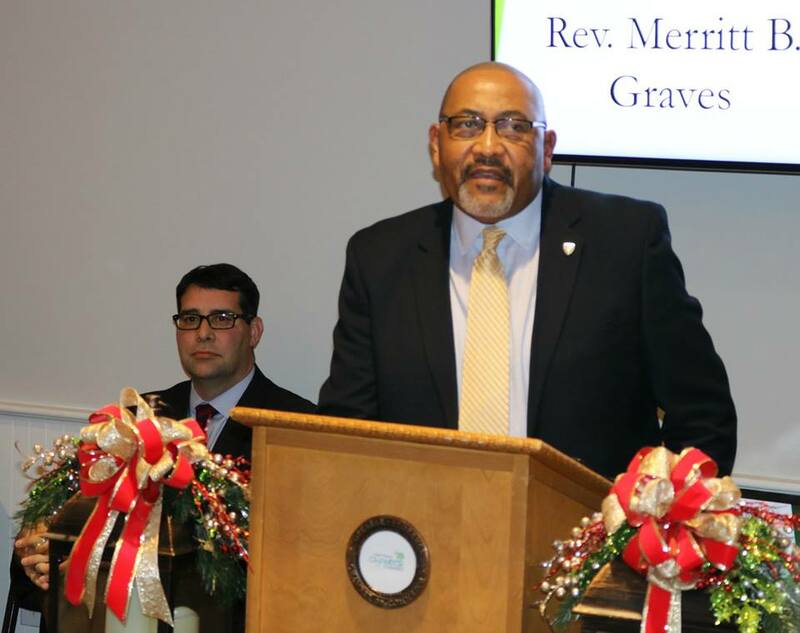 He has served on numerous nonprofit boards and has chaired a number of them. Most recently he has served as the board chair for the Main Street USA affiliate in Warrenton. Dabney enjoys tennis and golf but says he hasn’t had time for either sport in recent years. “My wife says the other woman in our house is a newspaper,” he said. He describes himself as a technophile. “I’m kind of addicted to gadgets,” he said. Dabney has been married for 25 years. He and Kim have three daughters and a son. Craig will remain at the Morning News through the end of the year. Craig said he and his wife, Kathy, have really enjoyed Florence and the wonderful people they have met. “I expect that we will seriously consider settling here permanently, so you might still see me around but just wearing another hat. We’ll see,” he said. Craig is grateful to BH Media for bringing him to Florence. 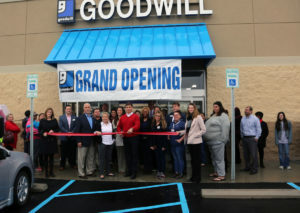 FLORENCE, S.C. — A rain-soaked Thursday morning was unable to dampen the excitement of Palmetto Goodwill employees and shoppers as they celebrated the grand opening of the store’s second location in Florence, at 260 N. Beltline Drive. 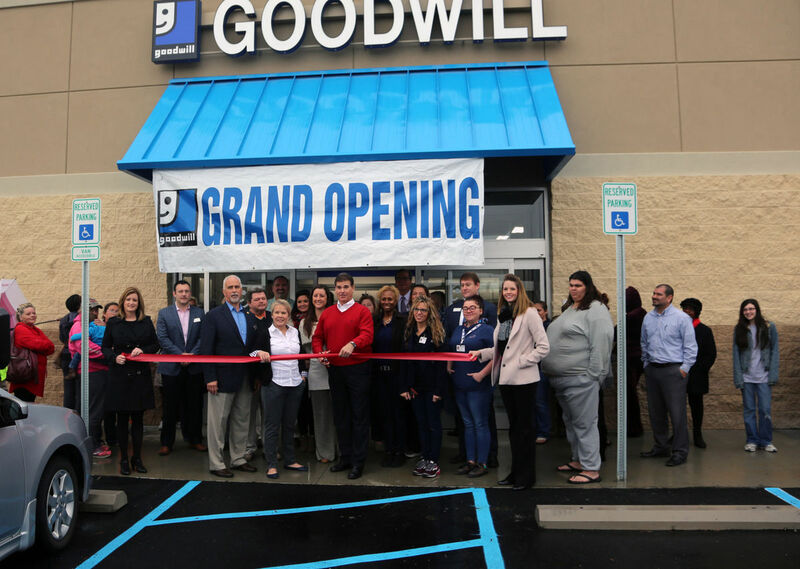 Goodwill officials and employees joined ambassadors from the Greater Florence Chamber of Commerce to hold a ribbon cutting at 9:45 a.m. before officially opening the store to customers. 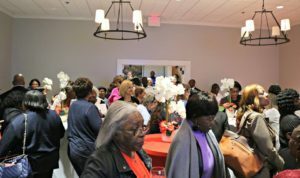 Rick Shelley, director for workforce development for Goodwill in the Pee Dee and Grand Strand regions, said the goal of constructing the new store is to help with missions and services in the community. Shopper Katrienne Ham was one of the first to enter the new store on Thursday and came away impressed with the selection and price. Palmetto Goodwill CEO Robert Smith said the organization assists people in finding jobs, trains them in resume building and helps adults who haven’t received a high school diploma get their education and obtain certifications to get back out in the workforce. Over 90 cents of every dollar made through retail is given back to the community through those education, training and employment programs. In addition to store manager Ruth Cain and assistant manager Lamar Meyers, 15 store associates were hired in conjunction with the new store opening, according to Palmetto Goodwill. “We’re really excited to have the Florence community and their support,” Smith said. People can register all weekend long for a free 60-second Goodwill shopping spree by visiting the store location. Last year, Palmetto Goodwill placed more than 1,596 people into new jobs and provided services for more than 57,981 in South Carolina. For more information about its programs and services or to donate, visit palmettogoodwill.org. 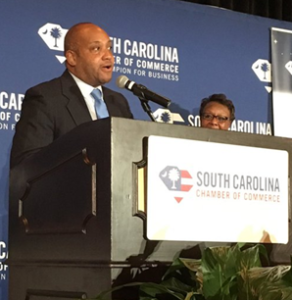 Florence Chamber wins South Carolina Chamber of Commerce Diversity Award. KIAWAH ISLAND, S.C. – Greater Florence Chamber of Commerce was given The Excellence in Workplace Diversity Award this week at a South Carolina Chamber meeting. The recognition is for companies making significant contributions to the advancement of South Carolina through diversity initiatives and inclusion efforts. Criteria considered in selecting the winners include diversity initiatives, effectiveness and applicability/replicability. The award was given at the South Carolina Chamber’s annual Summit meeting at the Sanctuary in Kiawah Island. On Tuesday night, the Business Leader of the Year was awarded at the Summit dinner. At a luncheon on Wednesday, the Diversity Awards, Business Week scholarships, the Sgt. William Jasper Freedom Award and the Public Servant of the Year Award were presented. Les Echols, the Director of Community and Minority Enterprise for the Florence Chamber, accepted the Diversity Award for the Chamber. 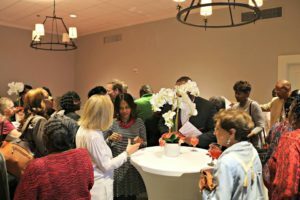 Mike Miller, the president of the Florence chamber, said Echols and the Chamber staff, have been focused heavily on helping to build diversity elements into all of business and community efforts. https://www.flochamber.com/wp-content/uploads/2017/12/chamber-diversity.png 306 298 Meg Feagin /wp-content/uploads/2015/11/Web-redesign-300x121.png Meg Feagin2017-12-08 11:48:452017-12-08 11:48:55Florence Chamber wins South Carolina Chamber of Commerce Diversity Award. 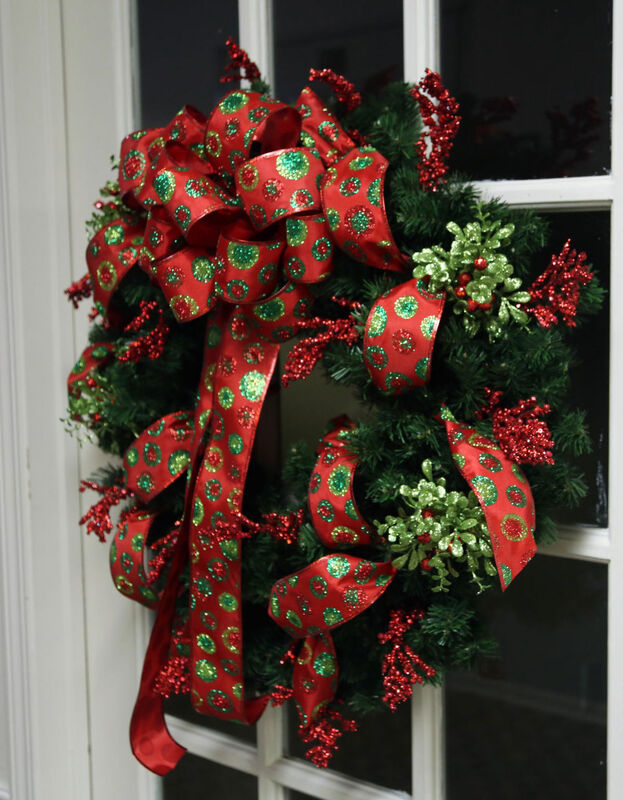 More than 120 people joined the Chamber’s Chairman Holiday Drop-in event last evening at the Chambers Community Room. Everyone enjoyed delightful music and great food. Chamber Chairman, Rev. Merritt Graves and Florence Mayor, Stephen Wukela provided key remarks on the Chamber’s progress in regional business and community support efforts. 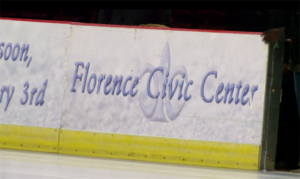 FLORENCE, SC (WMBF) – As Disney On Ice kicks off this week at the Florence Civic Center, soon to be the Florence Center, officials say there’s a lot more in store for the new year. The arena where Disney on Ice takes place is all about entertainment and what general manager Paul Beard says enhances the quality of life for people in the area. As for the convention center area, that’s where the economic impact comes into play. It’s what brings thousands of people in from outside of the Florence area and during their visit, they help to boost the economy. 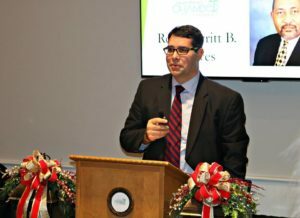 This past fiscal year, Beard said the Florence Center generated a $42 million economic impact for the city and the county. Leaders hope to drive that number beyond $50 million once the expansion is complete, which is anticipated to be mid to late December. The Fellows in Education attendees had the opportunity to visit with educators and students at Williams Middle School yesterday. The program is designed to give local leaders a unique, behind-the-scenes look at several schools within Florence School District One. 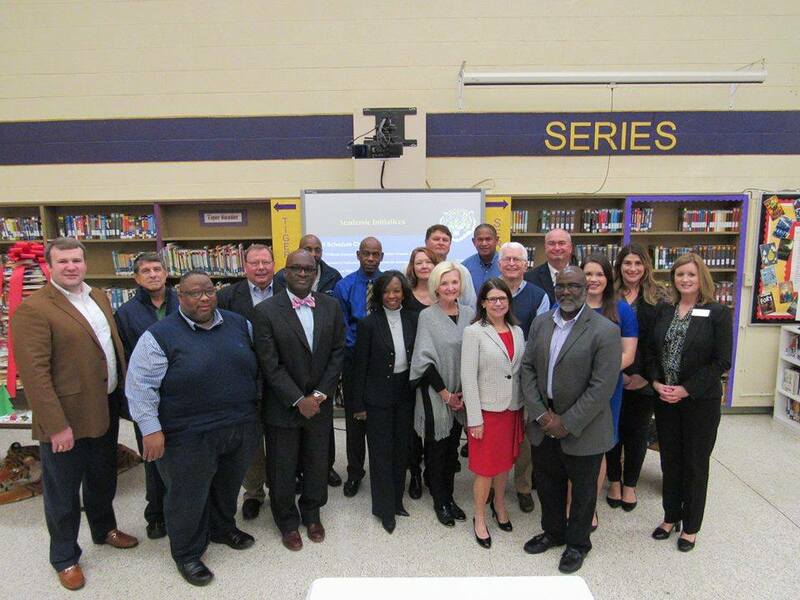 It is a joint education effort between The Greater Florence Chamber of Commerce, Florence School District One and the Florence School Foundation. Williams Middle School sits on the north edge of downtown Florence and serves approximately 630 students in grades 7 and 8. Since 2002, Williams has been home to the Middle Years Program, which allows students the opportunity to pursue an IB diploma at Wilson High School. Mrs. Pamela Johnson is the principal at Williams Middle School.